The present world offers some seemingly intractable political problems. 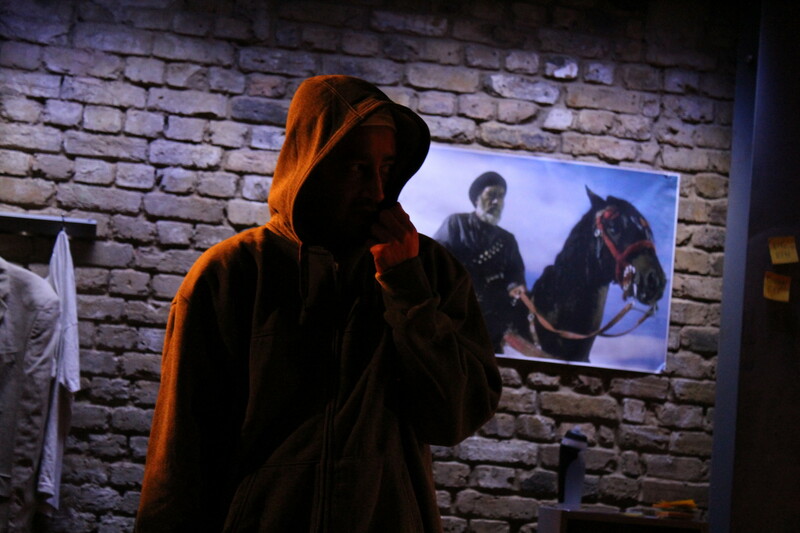 The response by Iraqi London based Hassan Abdulrazzak who delighted audiences with his award winning debut, Baghdad Wedding (Soho 2007) is to lay some of them before us with unexpected, quirky twists and imagination. 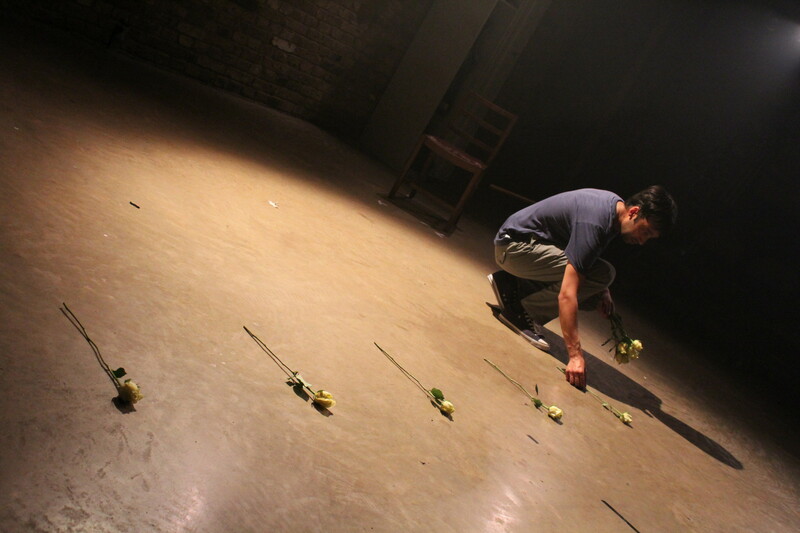 Love, Bombs & Apples is the kind of theatre that gives one hope and makes work done in the smaller theatres often so invigorating and inspiring. In ninety exhilarating minutes Khan adopts four different personas, metamorphosing from a Palestinian actor caught in the headlights making love to an English student against the West Bank wall, to the son of a New York Jewish Zionist torn between family and his liberal-thinking girl-friend. In between we have a young British Pakistani imprisoned for an `incendiary’ novel seen by the authorities as a terrorist manual and a disaffected Bradford youth intoxicated by dreams of the latest iphone at Westfields but seeing it also as a way of keeping Muslims pacified and drawn increasingly to Isis. At all points, Abdulrazzak’s writing bursts with originality and freshness, Muslim voices and characters as you’ve never seen them, deliciously human, varied if trapped by social or political forces. The political is personal refashioned, Rosamunde Hutt’s economic, elegant single- room production transports us effortlessly to each milieu, as does Khan’s extraordinary gift for transformation. In the first, his Emad, the actor seducing the beautiful English student is outrageously virile whilst in the second, the putative novelist, Sajid, intent on writing the definitive post 9/11 novel becomes slightly camp, his literary ambition viewed by Abdulrazzak with the same wry humour as the ham-fisted security forces’ misreading Sajid’s novel. More potentially provocative is the final section with its internal Jewish debate about the fates of Israel and Palestinians conducted by Abdulrazzak between his New York couple, as pro-and-anti Israel and Palestinian points of view flow between Isaac and his girl-friend Sarah. `It’s going to get ugly’ says Isaac in the cliff-hanging final sentence of the imminent encounter between Sarah and his father. In the circumstances, that’s an understatement in terms of Israeli-Palestinian relations. In terms of Abdulrazzak’s handling of normally explosive headline situations, quite the contrary. 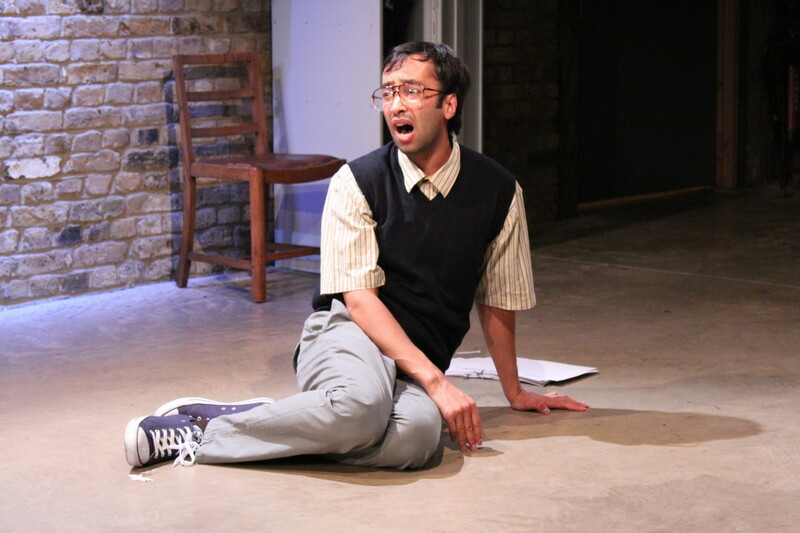 This entry was posted in 2016, Reviews and tagged Arcola Theatre, Asif Khan, Hassan Abdulrazzak, Israel and Palestine, Muslim voices with humorous touch, New York Jewish diaspora, Rosamunde Hutt on June 3, 2016 by Carole Woddis.